A guardianship is a legal relationship whereby a guardian is appointed to handle the legal, financial or medical needs of an incapacitated person or minor. Often a guardian is a family member or a close friend of the person in need of the guardianship. Denise Gallagher is a Guardianship Attorney specialist. When an elderly person is no longer able to manage their affairs, a petition can be filed to allow the spouse, adult child or close friend of the elderly person have the power to make decisions such as where the elderly person will live, what medical attention they will receive and the management of their money or property. A guardianship can also be obtained over a minor. Often, minor guardianships are obtained when a parent is temporarily unable to take care of their children due to medical issues, addiction issues, mental illness, incarceration or military service. 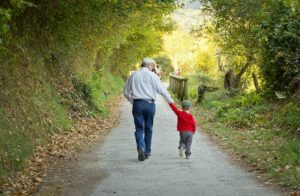 Guardianships over minors are temporary situations which naturally end when the minor emancipates (reaches the age of majority) or when the parent rectifies the situation which led to the necessity of the guardianship. The Gallagher Attorney Group has extensive experience in obtaining guardianships over both adult and minor wards and has insured that the ward’s interests are fully protected. Contact us today to begin your guardianship proceedings in Las Vegas and Clark County.